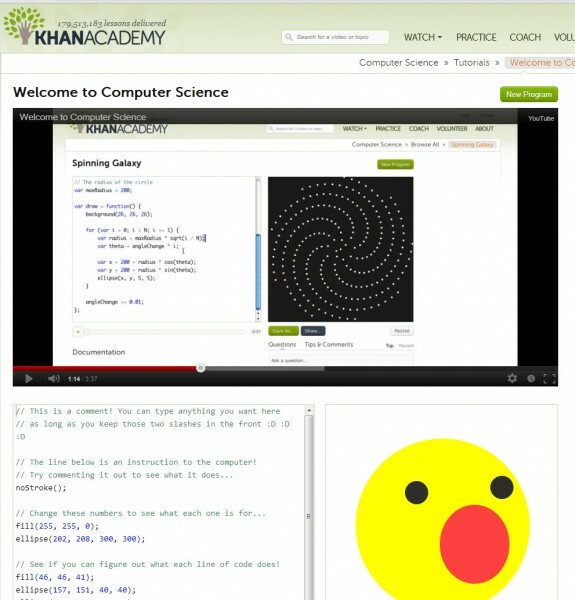 The Khan Academy is a free online learning resource with more than 3000 educational videos. Everyone is welcome to join any course or lesson on the site. Up until now, the focus has been largely on math with other science thrown into the mix for good measure. What makes the academy interesting is not only the free approach to education, but more than that the way lessons are taught. The idea is to make the lessons understandable to users of all experience levels, provided that users either start at the very beginning for a good foundation, or skip classes provided they are already proficient in a certain field. The courses are even understandable if you have never had a lesson of math or science in your life before. It is recommended to follow the course in the right order as it is building up on previous lessons. If you skip lessons you will have a much harder time following the instructions as you may be missing essential information that were explained and taught in previous lessons. Here is the launch video that you may be interesting in. New lessons and courses will be posted on a regular basis. For now, the Computer Science course is nowhere near complete as that offered by Udacity and maybe even Academic Earth. The latter is however less interactive and consists mainly of videos that you can watch. I really like Khan Academy, together with Coursera, OpenCourseWare by MIT and the likes. I can learn and review stuffs on my own pace whenever I want, sure it doesn’t really have that interaction and intensity you get in the classroom, but I prefer this self paced format. Thanks for sharing this website.There are great collection of video courses and are really nice and is great for students like me.